In order to be a quality fast breaking team, you must be good defensively and on the boards. You can only be so good in transition if you are constantly taking the ball out of the net after your opponent scores. Defensive rebounding is not talent — it’s heart. ◄The deeper the better…between free throw line extended and the hashmark. ◄Point guard sprint there, show you back to the sideline and call for the ball. ◄Look up!...majority of guard take outlet and immediately put the ball on the floor dribble and then look up...we want to look up first. Important quality for guards is body control. Point Guard: key to good transition is her vision...once she catches the ball Washington teaches for them to look “at the bottom of the net”...this gives a good centering point for their peripheral vision. Best friend is Steve Mariucci...Izzo goes to 49ers mini camp to observe and learn. In all sports — defense wins championships. Must sell “defensive wins championships” mentality to your best players...when your best players buy into your system, you’ve got a chance. Program turned around when Mateen Cleaves signed...he came in and brought a toughness with him. Best players can be prima donnas if you want to win games, but if you want to win titles, your best players have to do a lot of things. Contesting shots is easy...contesting a pass is not...Izzo refers to contesting the pass as the role of the defender on the ball, not on the receiver. Izzo squares the feet and shades players with the squared feet — not with one foot up...stay square even to shade...one foot up is too much of an advantage for the offense. Defense, and stance — “Never Relax”…”Never Relax” is on their championship rings...don’t come out of your stance. 1. Don’t play hard: You can have the most talented team in the world, you can have the most intelligent team in the world, but if your team doesn’t play hard, there is no chance that they will be successful over the course of time. You must, before all else, establish and demand that your players play hard. It must be your identity. 2. Don’t play smart: After establishing that your team plays hard, you must then teach your players how to play smart. They must have a high “basketball I.Q.” Your players must learn and buy into the system that you teach and they must learn technique. At Northern, we say, “You can have all the intensity of a mad dog in a meat house, but without technique, you’ll end up with a bullet between the eyes.” Your players must learn to be students of the game. We stress the importance of player notebooks and taking notes. 3. Don’t play together: Finally, after teaching your players to play hard and smart, your players must then learn how to play together. Your team will have a very difficult time if there isn’t unity among the troops. 4. Don’t have a delay game: If your team is fortunate enough to get a lead late in the game, you must have some type of delay game. While that doesn’t mean that you become passive and are afraid to shoot, that does mean that you may have restrictions such as; the only shot is a wide-open lay-up, minimum number of passes before shooting is 5, etc. Teams that don’t have a delay game have the tendency to lose big games. 5. Have no delay game defense: There will be times when you are losing and the opponent is running a delay game to milk the clock. If and when that is the case, you must have a secondary defense that will force the offense to speed up and hopefully take bad shots, so your team can preserve the clock. That might mean you have a press defense, or a trapping zone defense, but whatever the case, you must find ways to speed up the game and give yourself more possessions and opportunities to score. 6. No comeback game: Your team won’t always have a ten-point lead late in the game. There will undoubtedly be times when your team is going to be losing and your players have to know how to speed up the game to get more possessions and thus, more opportunities to come back. First of all, do you have “quick-hitters” in place; set plays that will result in a good look at the basket in a minimal amount of time? Also, do you have substitution patterns in place to best maximize your talent when you are losing? For example, subbing in the appropriate players on a defensive possession that will give you the best chance to stop the other team, and during dead balls, subbing in shooters on offensive possessions if you need to get 3-pointers to get back in the game. In addition, when your team is shooting a free throw, do you have players ready to check in if the player makes the second free throw, which will stop the clock and set up your defense (a timeout without using a timeout)? Being prepared for situations where your team is losing late in the game and having a plan of action ready is vital to a successful program. 7. Don’t simplify the game: There is a lot of power and truth in the saying, “Simplicity is Complicated.” You must keep the game simple for your players. If they have to think too much, they won’t be able to react. A good quote is “the more they think, the slower their feet get.” A great coach teaches his or her players a few simple principles from which the program is known by, and then, that coach lets the players play the game. 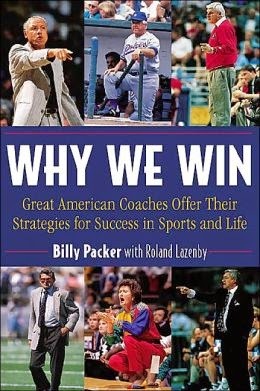 In 1998 Billy Packer (along with Roland Lazenby) wrote a book titles "Why We Win." It was a brilliant concept in which Packer came up with a series of questions to ask some of the top coaches in all sports to get their thoughts and views. If you had two players that we very similar but one had a little more talent while the other had a better attitude, which one would you take? Say maybe one had better physical ability and the other had the lead in mental ability? Joe Gibbs: For me, it was always the character. Pat Summitt: You’ve got one player to pick for a championship. 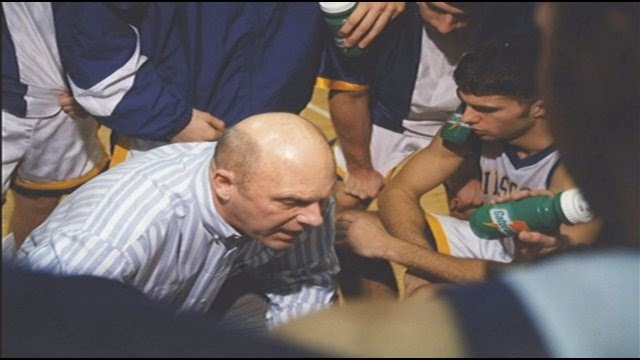 I would say the mental...I guess it was Lou Holtz who said, “I’d rather have a slow person in the right spot than a quick person in the wrong spot.” I think that certainly it’s true in the sport of basketball that execution is as much mental as anything. And I’d take that smart player. Tommy Lasorda: I’ll take the guy with lesser talent and the more desire and the execution ability. I’ll take that guy over the guy with talent. Joe Paterno: It would depend on the level of how much better is one physically and how much smarter is the other one. But if they were close, let’s say one guy is six in physical ability and three in intelligence and other guy is seven in intelligence and three in physical ability, I’d go with the intelligence...I asked John Wooden what quality he thought was most important on his basketball team. He said, well, my basketball teams were always intelligent. Dan Gable: Whether you have talent or not, that’s a big factor to me. The higher level you get to in sports performances, you need a little big of everything to be good. However, I would still take the young person or that athlete that had the attitude over talent. Mike Krzyzewski: With intelligence you have a greater chance of making other people better. 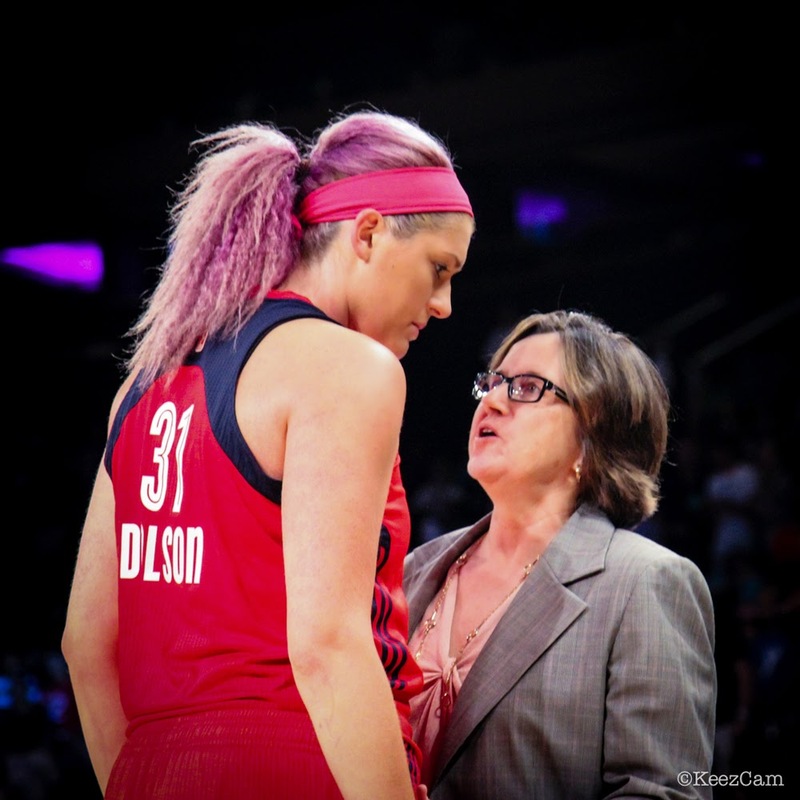 Without giving names to those two people, I would lean more toward the intelligence because basketball is all about making your teammates better, and I think you can do that if you’re smart. Some people are quick or strong, but they use their strength and quickness in going the wrong direction. Sparky Anderson: Well, when it gets to that, to me, it’s the intelligence and the toughness of a young man. Lenny Wilkens: The mental (laughing). Definitely. I can overcome a lot of physical disadvantages. I could use your strength against you. I can do a lot of that, if I know how. And so, it’s now always how strong you are. The guy who has mental superiority will find a way. Bill Walsh: The bulk of your squad must consist of people with functional intelligence for the sport itself, and who have the athletic ability to play their particular position very competitively with the opposition. Fouling is not against the rules, as such. Fouling is included as part of the rules. Like any rule, whether it is a tax law, civil law, or basketball law, the smarter individuals will find ways to make the rules work for them to their most advantageous way. The point is that each player is given a certain number of fouls to use per game. They can be wasted on non-profit items such as reaching/grabbing in the backcourt instead of containing; grabbing or reaching around behind a driver in the front court instead of moving one’s feet; fouling a jump shooter after he has already released the ball; softly touching a layup or postup shooter to give him a good opportunity to score a three-point play, changing in an out-of-control drive, etc. A player who “fouls for profit” is one who uses his first two or three fouls in the first three quarters of a game to prevent easy scores. He does not allow an easy layup or a put-back on an offensive rebound. He fouls with enough force to guarantee that the “easy basket” is not made. Some great guidelines for goal setting via John Maxwell from his book "Be All You Can Be." To help you understand the importance of goals and to facilitate your own goal-setting, let me give you six important guidelines. § Your goal must include others. No goal is worthwhile that is only for yourself. Set a goal big enough to include and help other people. § Your goal must be worthwhile. There is no such thing as a successful frivolous goal. § Your goal must be clean. If you don’t know where you are headed, a map will be of no use. § Your goal must be measurable. You need a way to see if you are making any progress toward the goal. § Your goal must be expandable. Don’t set your goals in concrete. If your goal is not expandable, it’s expendable. § Your goals must be filled with conviction. Conviction is the unshaken confidence that the goal is worthwhile. It’s the fuel that pushes us to achieve. 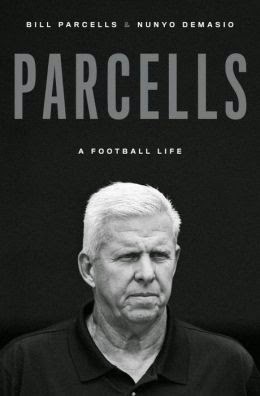 I want to share a story from the book "Parcells: A Football Life" written by Parcells and Nunyo Demasio. The story reminded me of my junior high coach Allen Osborne. Allen is still going strong as a coach -- one of the all-time winningest coaches in the state of West Virginia. In fact, Allen's Poca team is currently 10-0 and ranked #1 in the state. Yet each fall, spring and summer Allen is heading to a clinic of visiting with a coach and a program where is a meticulous note taker -- always looking for ways to grow. Coach Wooden once said the best coaching in this country is at the junior high and high school level and it's still true today because of those who are constantly working to improve. During spring practice at Texas Tech, Parcells noted a man sitting in the stand, scrutinizing the defense. His face was weather-beaten, and he wore a brown jack emblazoned with a white "B." Occasionally, when the opportunity presented itself, the man stepped forward to question Parcells about his schemes. After a few exchanges he told Parcells in a bass-heavy drawl, "You know, you're a pretty good coach." Seeing the stranger at practice for several days, Parcells approached him to get his name and exchange pleasantries. Gordon Wood confirmed Parcells' guess that he was a high school coach. Parcells said, "I notice you're here every day. Where are you coming from?" Parcells knew that the central Texas town was a three-and-a-half-hour drive away. "Are you staying in a hotel here?" "No, no. I just drive back and forth." Parcells was flabbergasted to learn that Wood was one of the winningest coaches in the history of high school football, which was like a religion in the Lone Star State. 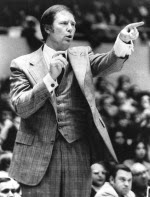 By amassing more than three hundred victories while coaching in a sports coach and tie, Wood had become a Texas icon. Most of the wins came with the Brownwood Lions, a team he had transformed into a dynasty. 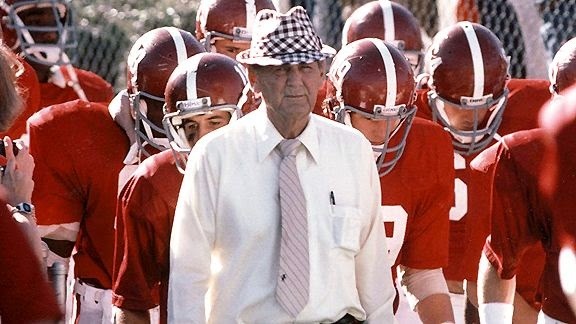 Wood's stature gave him friends like Bear Bryant and Lyndon Johnson. Once, when Bryant was asked why he quite Texas A&M for Alabama in 1958, he responded, "I had to leave Texas. As long as Gordon Wood was there, I could never be the best coach in the state." Despite a secure legacy, Wood was willing to drive almost seven hours round-trip to sit in the white hot son for the slim chance of gleaning something useful from an obscure defensive coordinator. Parcells had prided himself on a relentless work ethic, but Wood's actions provided an aha moment: succeeding at the highest levels in coaching required long-term zeal, although that went against human nature. "It was a revelation to me," Parcells says. "I was just a young guy, and he'd already been an established super coach. That's what impressed me so much: he was still hustling." Bringing the ball above the head is a common problem – not hard to guard. Backline in 2-3 must understand where their overall territory is that they must cover. On zone offense, a wing must know who’s defending him and take the ball away from where he came. To cover the ball in the zone, backline must be active. If you play zone defense, break it down in drill form. Can work on both zone offense and zone defense in whole or part method at the same time. Zone defenders must constantly be aware of players in their area. Time and score would dictate his pressing. :30 to play and behind by 3 or more we want to deny then foul – no more than 2 seconds be ran off. Knight spent the entire fall (2-hour, 3 man) practice period teaching screening. No one in the nation screens better than Indiana yet Knight thinks they do it poorly. What should that tell the rest of us about our screening. Without game-like intensity in practice you can’t be effective in a game. 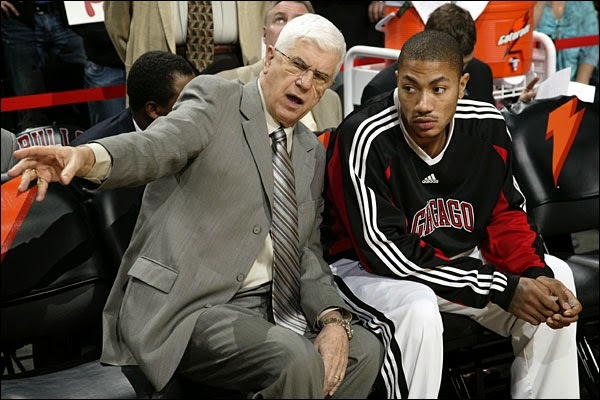 Game-like intensity comes from coaching leadership. Good defensive players must be “suspicious” (constantly anticipating.) Mike Singletary of the Chicago Bears. Stance-ready-suspicious. Important on inbounds defense especially. Kids know when their parents are serious or not, caring or not, prepared or not, so you know they can read coaches. Your basketball facility (floor, offices, locker room, etc.) is your classroom. Do you have a “good learning environment.” Important to make kids “receptive” to learning. Good teachers don’t try to trick their students. Bounce pass (lead low) vs. retreating defender. Talent sometimes resents loss of identity that sometimes comes with motion offense. Performance must be a Projection of Practice. The true test of a coach is to coach effectively through resistance. Ran flex with Post Exchange (he called it “high-low passing game”.) Liked to split the low post in motion with a screen. When running flex, used a variety of entries to disguise it. Doesn’t want symmetrical look in PE (1-3-1). Can’t change performance until you change attitude. Before the 3-point arc, he wanted his team to shoot 55% from the floor. He wanted his identity to come from field goal shooting percentage. If you run motion, you need to stay away from junior college players and have four year players in your program. Important in zone offense to “stretch” the defense with spacing and backside players. He wanted to dunk against a zone. Bring the ball into the paint before an outside shot. Must breakdown zone offense (perimeter & post). Likes loop to elbow screen vs. zone defense. Rover against odd front zone. Must attack the backside of zone defense. Does not think it is necessary to have more than one alignment of motion to be effective. Regular or High Low. Likes possibilities of triangle. Against defense that switches, besides slipping, have your cutter make a tight curl (will open up a screener that widens out on the perimeter. Must find “daylight” before slip. Coach must get comfortable with what he wants and then demand it. Three phases of basketball are offense, defense, and conversion. If you want equal emphasis on game night you’d better stress it in practice. Important to remember on conversion offense that everyone converts down the middle and not wide. Wants his point to pitch the ball ahead as soon as possible. Also wants his wing to take the ball deep to the baseline if nothing materializes (UNC press offense). Does not want the point to bring the ball directly down the middle of the court because of traffic with post players. Early offense vs. helpside defense. When ball is feed to low post, have trail down screen the help and 3 cut to the opposite elbow for a feed from the low post player. Outlet must be deep – doesn’t want point to have to come back to the ball. Does not have point guard widen out for the outlet, wants him to find an open slot in the middle of the floor to take the pass. Outlet Drill – Have an outlet and a point guard working against 2 defenders to get open. Motion offense – does not like the term “restrictions,” likes the word “conditions.” Believes terminology is critical part of teaching. In all motion work, even with conditions, never take the lay-up away. Whether shot goes in or not has nothing to do with the quality of the shot. Priority of shot is difficult to teach because of egos. Players must understand priorities but their girlfriends and parents never will. Shot selection is so important that when he was with Knight at a clinic last week, Knight spoke about it for an entire hour. “Draw & Kick” – from Majerus (largely underrated college coach). 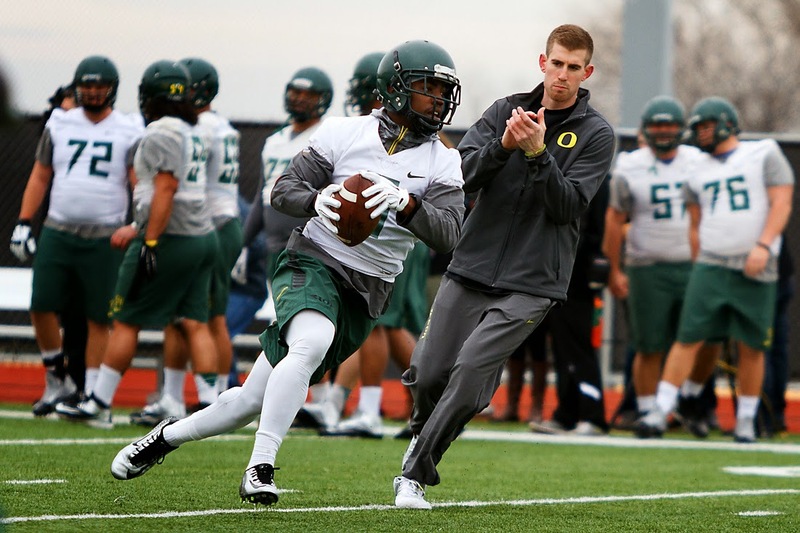 Draw & Kick important to motion – must be drilled. Screener is the 2nd cutter – teaching emphasis “get hands to the ball” after screening. Area hardly ever emphasized and rarely coached is getting the screener to read the cutter. Emphasis of the day is good – but is team really aware of it? Must have drills to surround it. Stop practice and ask. Bring in scrimmage play (good example or bad example). All teams experience some game slippage. Coaches must anticipate. A “player’s coach” in the NBA is a “coach that lets the players do whatever the hell they wants.” Riley not a player’s coach. Far too many players today have had tons of success without being coaches or pushed and this is a big problem in coaching today. If Bob returned coaching today he be more aware of conversion defense and defensive rebounding. Don Haskins was excellent at teaching conversion defense. Can not overteach it. Two important points in conversion defense is to get into the ball at midcourt and have someone take away the goal. Larry Eustacy (Utah State) has lead the nation in rebounding margin twice in the past five years. Drives his staff as well as his team on defensive rebounding. Everyday they do a series of defensive blockout drills. He makes it embarrassing for a player to give up a second shot. Bob didn’t feel like he emphasized defensive rebounding enough when he coached. First two weeks of the season are formative stage of a team. “Getting the bottom into the team” – build from the foundation up. If coaching again, he would play both man-to-man and zone (there are numerous ways to guard the goal). Wishes players would show the same kind of disgust when a man beats them on a drive as they do when they miss a lay-up. Doesn’t believe that extended pressure win in the long run (counterproductive); he just doesn’t want to give up any long ones. Critical to dictate direction of basketball on defense. Most defenders lose their man because they lose their gap. Advantageous to prepare against a team that plays only one defense. Doesn’t think it is a good idea to collapse on the post with the defender on the passer. Like’s prostyle collapses with weakside defenders and stunts to recover. If you pressure the shot, you are vulnerable to the drive – must have an order of priority either as a team defense or through scouting. Would work on driving line from the wing every single day of practice. Help is nearly useless if you don’t teach recovery. Don’t compliment help if they don’t recover. Motion players – must concentrate. Nothing more important than concentration if you play motion. Look – See and Hear – Listen. He would not want to be known as a multiple defensive coach but would want to have options. Two important areas in attacking zone defense are the skip pass and the short corner. Likes the double skip (“one deserves another”) vs. zone. Zone defense must not be considered a lazy man’s defense. Can confuse a press offense by changing from man pressure to zone pressure. Also feels that the back man of a zone press is a critical part of zone press success. Wooden – extended defense to create tempo. 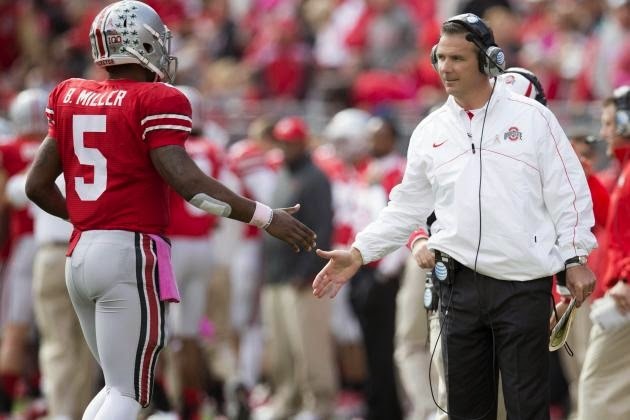 It's no surprise but the more you read into Ohio State's turnaround under Urban Meyer, the more you see he is continuing that which served him well at Florida and other coaching stops. For him, it's about the relationship -- with individuals and with his team. You can read between the lines and see that developing those relationships through communication are part of the strategy he utilizes. In Revill’s words and in others, that seems to have combined with an accessibility to players infrequent in the icons of last century if more common nowadays. All along the way, Meyer seemed to understand football as a collaborative human experience, and that understanding it that way actually might help the football. To this day, Revill values dinners he had, as a captain, with Meyer, Meyer’s wife, Shelley, and Revill’s wife, Carlye. I've always been a big believe in "Plan B" (and even Plan C & D). You always go into a game with an organized plan of attack but the best coaches are flexible in their preparation and in their game execution. We might want to come out and trap ball screens -- and we will work on it in practice. But if the offense throws us a new wrinkle or if are execution does not give us the pre-conceived results than we are going to hedge, ice or slide thru. And we are going to make sure we work on at least two in practice just in case. They say the first casualty of war is the war plan, and I'd have to agree with that. 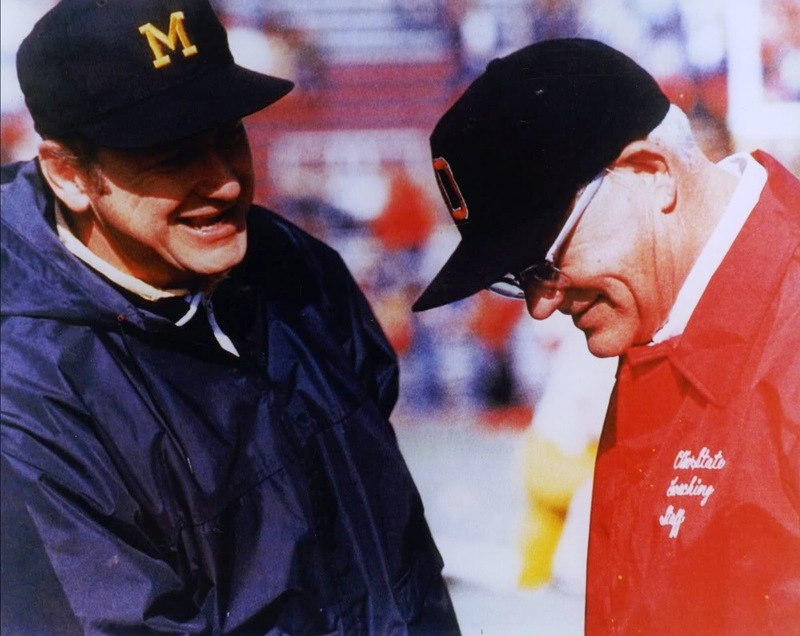 I knew more about Woody Hayes than any coach I ever went against, hands down. 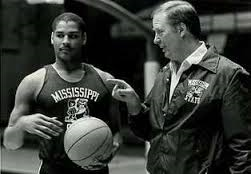 I played for him, coached for him, I studied him. I knew that guy cold! And every time we played each other, he still did something I didn't expect -- ten straight years! Hot damn! I didn't know he was going to do that! So that goes to show you, as much time as we spent scouting and preparing and planning -- and I don't think any team in America prepared better for anyone than we did for Ohio State -- the game never went exactly as we thought it would. It just never does. That's all right. If things aren't going your way, you adjust. Forget your game plan, forget your ego. Get the best information you can, and give your team the best chance to succeed from that point forward. To do anything less is to let your people down when they need you most. And that just inexcusable. The best time to do this, if you're a football coach, is halftime. 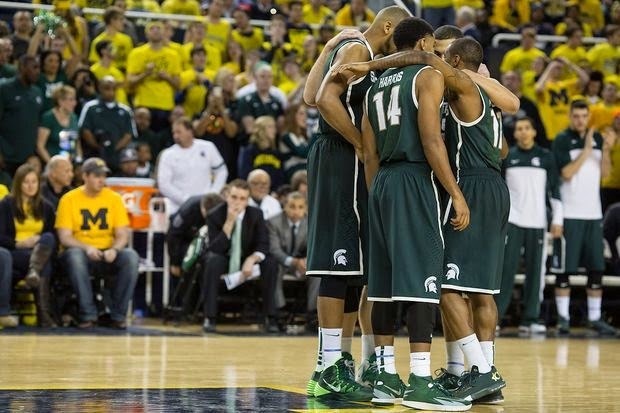 When you leave your locker room for the second half, you're not going to be the same team. You're either going to be better informed, or you're going to fall behind because the guys in the other locker room are making better adjustments than you are. We almost never spent that time on inspirational talks, but on technical adjustments. To make the most out of our time, we followed a strict routine. On the rare occasion when (Bear) Bryant did lose a game, he'd appear on his weekly television show looking grim. One time the host told him, "The Lord just wasn't with us, Coach." Bryant, without missing a beat, growled back, "The Lord expects you to block and tackle." In a move that may send football traditionalists into a sideline meltdown, Oregon coach Mark Helfrich and his staff have ditched the age-old technique of screaming at players to motivate them. Instead, Oregon’s coaches have implemented a softer, less confrontational and altogether cuddlier method of running their team. Granted, the Oregon practice facility won’t be mistaken for the library. But players say that raised voices are almost unheard of during team meetings or workouts these days. Rather than scream at a player over a dropped pass or a key penalty, Oregon’s coaches rarely react with anything more severe than an arm around the shoulder and some gentle words of encouragement. This is just a portion of the article. Click here to read the entire story. URBAN MEYER'S "PLAN TO WIN"